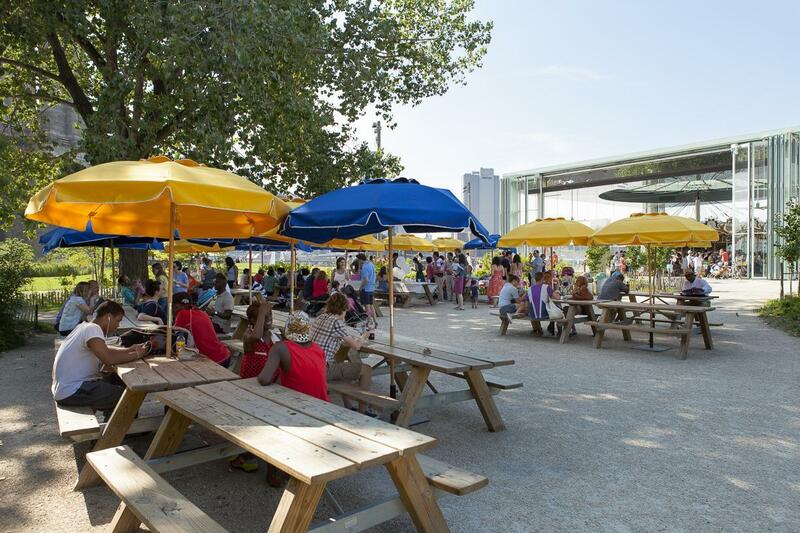 Gather around the table with family and friends for a picnic at one of several picnic areas located in the park. 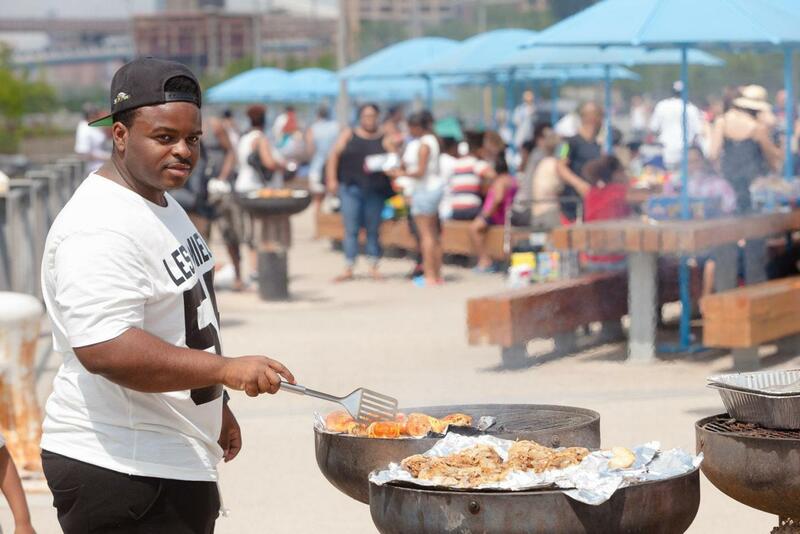 Relax under one of our umbrellas while cooking up a storm. 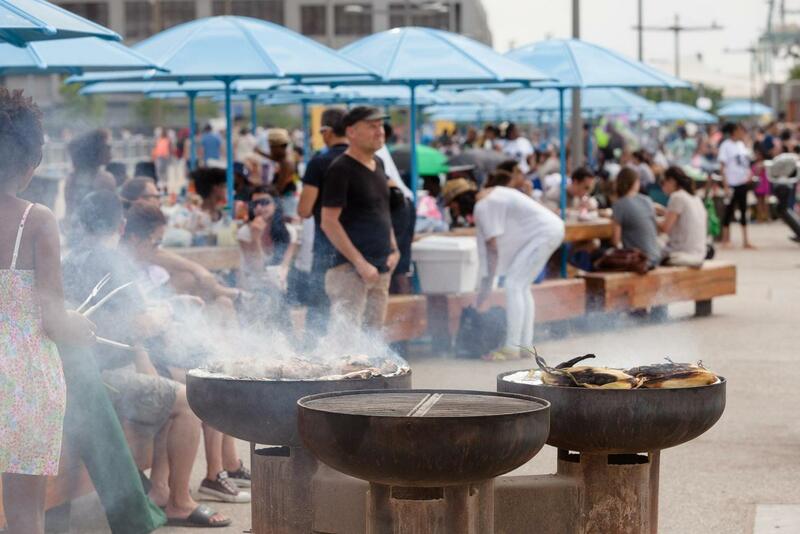 Our hibachi-style grills are the perfect way to create your own meal and enjoy them at our salvaged wood picnic tables. Please note there is no grilling after 10pm. 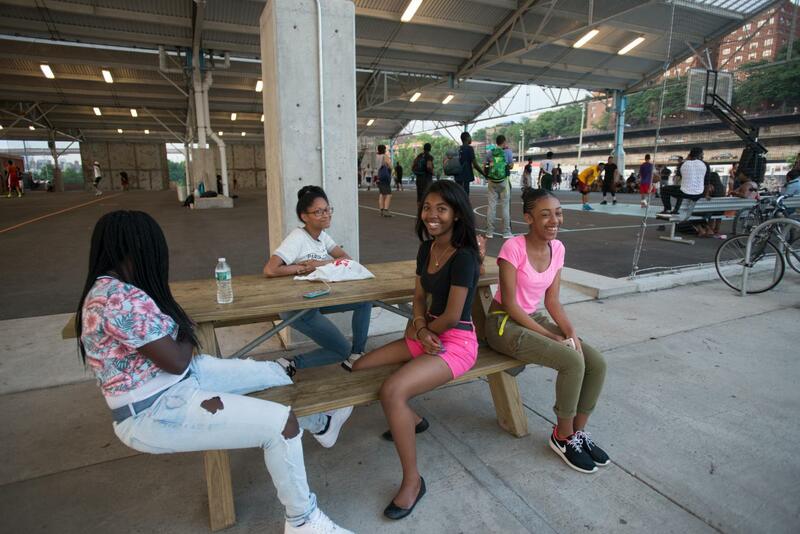 Take a break from playing basketball, roller skating, or just running around to refuel at the Pier 2 Picnic Tables. Once you feel refreshed, get back out there. 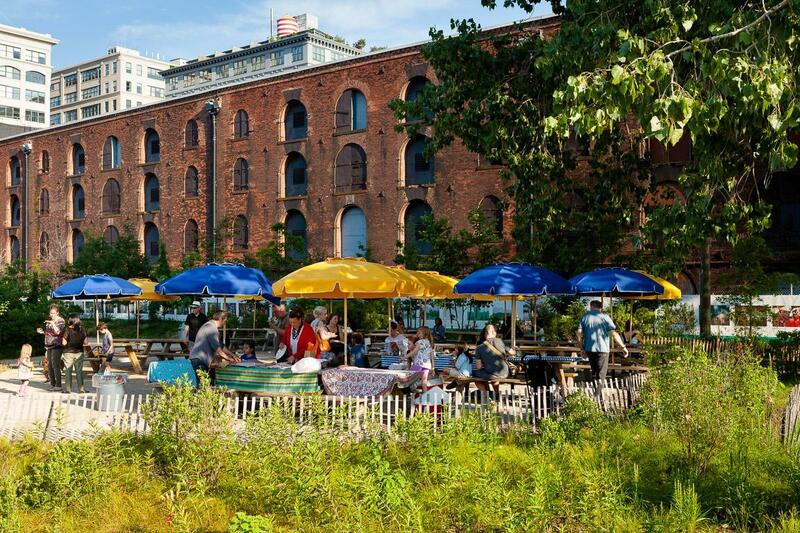 Dig into lunch or relish an afternoon in the sun from our cluster of picnic tables at Empire Fulton Ferry, all while taking in panoramic views of New York Harbor and Lower Manhattan. 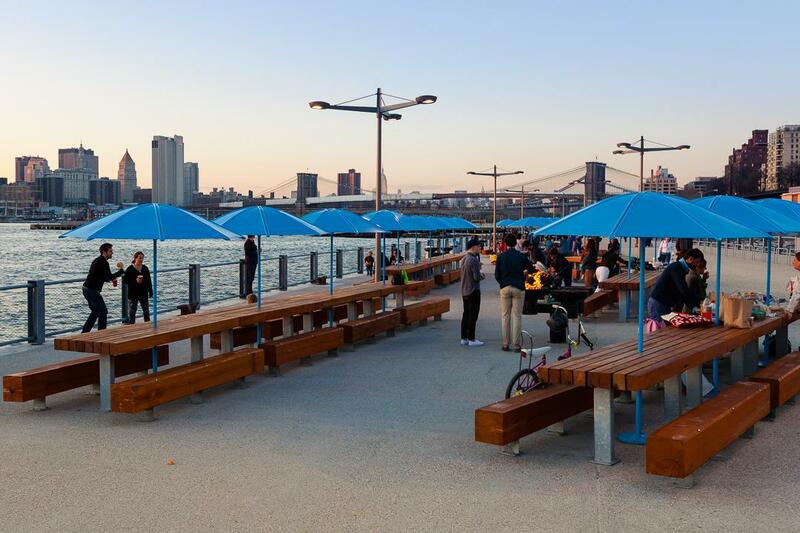 Head out to the western end of Pier 6 and check out BBP’s newest picnic area. 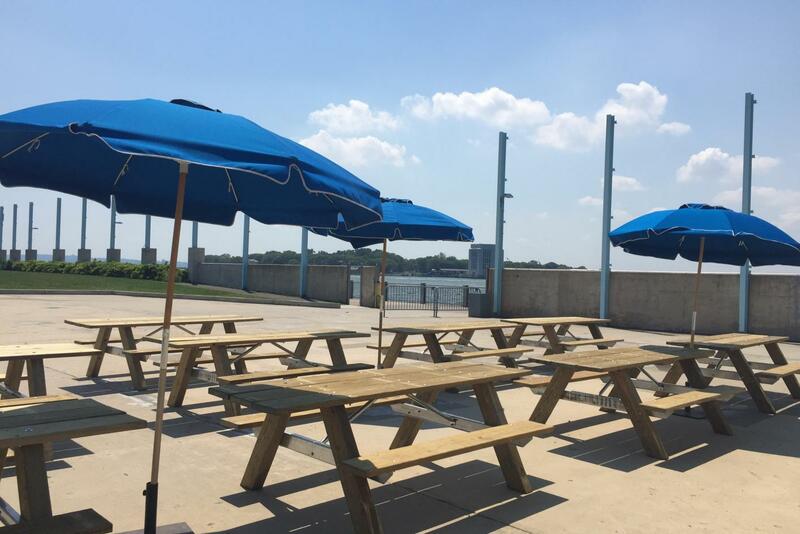 Situated alongside Liberty Lawn, the Pier 6 Picnic Tables offer great views of New York Harbor and the Statue of Liberty. It’s also a great spot to watch the sunset!